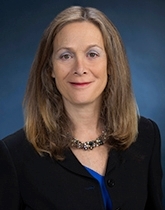 Beth Cohan is of counsel with the firm and concentrates her practice in all areas of real estate. Recently, her work has been more focused on commercial real estate, particularly in acquisitions, dispositions, financing, and commercial leasing. In addition to practicing law, Ms. Cohan is also licensed as a construction supervisor and a real estate broker. Ms. Cohan received her bachelor’s degree from Boston University. She graduated from Boston College Law School and is admitted to practice in of Massachusetts and Florida. Before joining Fletcher Tilton, Ms. Cohan practiced in a private commercial real estate investment firm as in house counsel in Florida.